The wine has a medium gold color and rich aromas of baked apples with hints of vanilla crème brûlée. On the palate the wine is medium bodied with flavors of zesty lemon custard and crisp apples. The oak flavors are well-integrated and the bright acidity provides a satisfying and lingering finish. 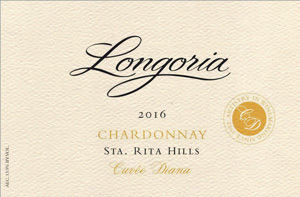 Suggested pairings with this elegant and well-balanced Chardonnay are a simple fettuccine alfredo with grilled prawns, lobster risotto and roasted chicken with herbed potatoes.